Due the last events in USA where mother nature decided to release its power and, living in Florida with my family and our dogs, facing the potential approaching of one of the most powerful hurricanes, I decided last minute to create this mega post, putting on hold any other topic in order to share information with everyone to help to understand some dog behaviors when a natural disaster is coming and how to be prepared to keep your pets safe. It will be a good idea to have this information handy so you can come back and review when it’s needed. I live in Florida, we normally have tropical storms, heavy rains and a hurricane season from June to November every year. We are used to them but lately, Juno, one of our dogs, started changing her behavior when the weather changes. Now when she senses a storm or a thunderstorm approaching, her life turns into a nightmare shaking and stressing out. This is when I asked myself how she knows before anyone that weather is changing and a storm is coming. After some research, I found different factors about how the dogs “feel” climate change. Dogs have amazing ears hearing about 20 times more sensitive we do. Understanding this imagine how a thunder can be heard when is closer twenty times they way you normally do. This is one of the reasons why loud thunders affect some dogs. So now that you know one of the reasons why weather changes can affect some dogs, you may understand why there are dogs with unusual behaviors like barking, hiding or whimpering when a storm is approaching. Dogs have a very well developed sense of smell, better than any other sense in their body. They can smell rain approaching from very long distances. When there is lightening the ozone in the air changes, when there is rain, the humidity in the air changes and your dog can smell this. This is one of the reasons your dog will know in advance that something is on the way. One of the signs that a hurricane, thunderstorm or tornado shows when it’s approaching is the change in the barometric pressure. The air pressure gets lower and, while you can’t, dogs can notice these changes. This is the reason where you see often your dog try to warn the family when something like this is going to happen. So, if you notice on your dog behavior that he decides to hunker down under the bed, the table or in the bathtub you should be alert and pay attention. Now that we know better about how dogs can “feel” when a natural disaster is coming, let’s be prepared about what you should take if you need to evacuate your house with your dog due to a disaster event in your area. A bad storm, tornado or hurricane can approach at any time, If you need to evacuate here are the items you take and pack for your dog, in case you need to get out of the house in a hurry. Water —please include your dog in the amount of water you need for your family. Bottled waters are the best as old bottles can be contaminated and this can cause disease in your family or your dogs. Make sure you have enough amount of water for the leaving and the returning just in case there is no water in your area. Another option if you didn’t have the opportunity to find bottle water ( people sometimes get panic and buy all the water from the stores) is to get water purifier pills, they are not expensive and you can take them everywhere. Dog food — Ideally dry food, a small container with food for 2-3 weeks will be enough, take into consideration the amount you will need to take with you if you have more than one dog. Also, do not make a last minute change in your dog’s food as it could cause diarrhea and this is something you (and people around you) don’t want either inside your car, in the shelter or place you will be staying. Remember, bowls are not necessary as they can take the food directly from the floor, save some space to take more important items for him/her. 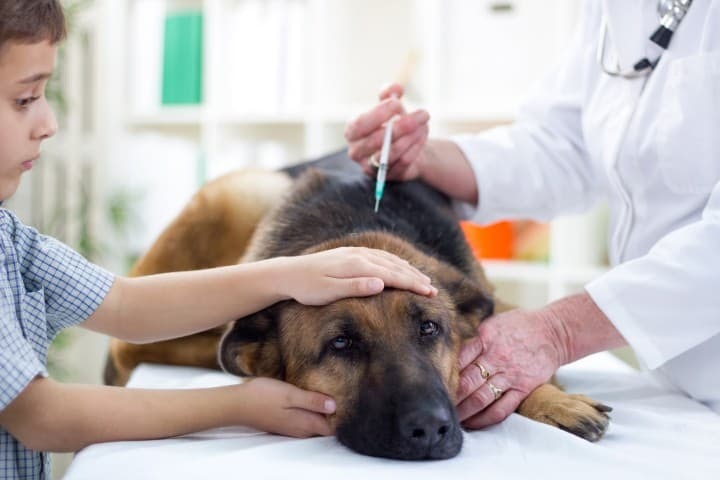 Dog Medicines— If your dog is taking medications, make sure you have at least 3 weeks supply, the reason is that after returning home vet places can be closed. 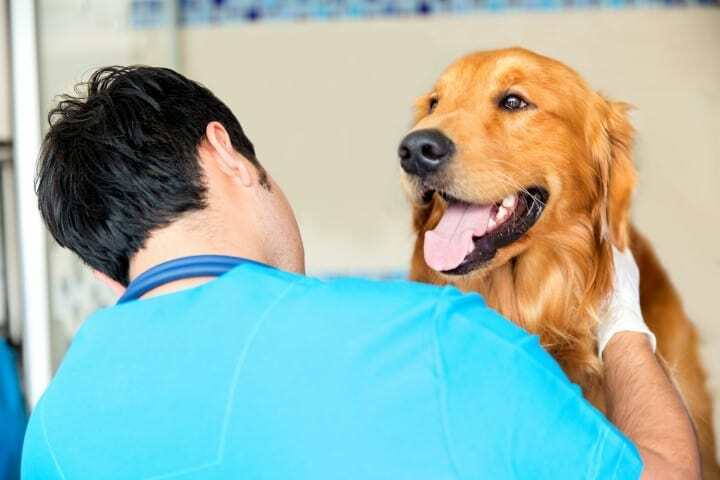 Request additional medication in advance as it might take some time for the vet to gather all necessary prescriptions. If possible, ask your veterinarian for the medicine made in pills and not powder or liquid because it will need water and refrigeration that might not be available. Proof of Vaccination— Use a Ziploc bag or waterproof bag and place all the vaccination records of your dogs inside, they will be organized and protected from water. This precaution could make the difference for your dog to be admitted to an animal shelter, hotel or clinic as they are required during registration. Some shelters can allow pets too but they will require this paperwork too, so make sure you call your vet to get an updated copy of the vaccination records in advance. Also, if your dog is not vaccinated, make sure he takes the shots for rabies, most shelters will NOT take your dog if they don’t have it. Your dog will be protected from potential diseases. Favorite toy —Remember, your dog will be stressed with all the situation going on and he/she will behave and feel better if he has some of his stuff with him. Pack his favorite toy, one or two but no more, the point is you need to do light packing and don’t need to take all the doggie stuff with you. Remember always to clean the toy especially if it was in contact with water, as it can be contaminated. You can disinfect it using alcohol, or a solution of 5 gallons of water and 1 cup of bleach leaving the toy air drying after cleaning. Animal stuffed toys should be discarded as they can’t be disinfected. 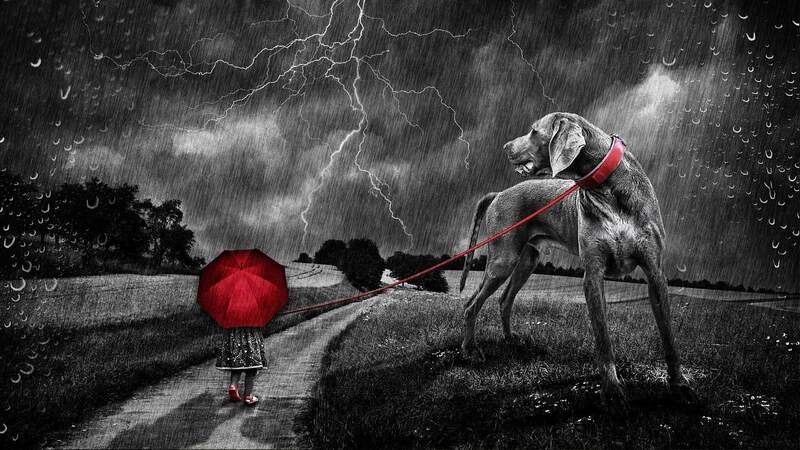 Dog leash — As we know dogs can be stressed with severe weather and your pet may panic and run away to find a place where to hide. This is one of the reasons dogs become injured or fatally trapped. With a leash, you can not only control your dog to avoid get him lost but also you will restrain his path to unsafe or contaminated areas. Retractable leashes are handy but not save if you have a large or heavy and strong dog. Check what option of leashes are on the market that can hold the strength of your dog in advance. Dog Crate— For large breeds, this is not necessary because when packing for an emergency space saving it could be an issue, but, if you have some space available and you have a retractable crate for big dogs you can take it with you (be aware that shelters will require one regardless of the dog size). Now, if your dog is small, You have to take a crate with you. Small dogs behaviors are different than bigger dogs, they have this need to feel safe & secure in unfamiliar areas and holding him in your arms at any moment isn’t practical, you will need your arms free for other tasks so it will a great idea to include in the packing for your dog a small crate. Also, It will be a good idea to find some information about crate training or crate training tips if your dog doesn’t feel comfortable in a crate. Dog snacks and treats — One way to calm your dog is with little snacks, a lot of trainers recommend if your dog get stress out because thunderstorm, lightning or severe storms to give them threats to bite and get them distracted, and if you are in a shelter this will help to calm your dog of getting out of hand. You can use a small bag as a container to store some threats and keep them safe from getting wet. Blanket — Taking something familiar for your dog will be a good idea to make him feel comfortable, also it will work as a bed for him for the next days. This is a better option than taking a dog bed with you, saving a lot of space in your car and in the place you will stay. Neosporin or a first aid spray if your dog gets injured and cut for stepping in nails, broken glass, etc. Get your dog microchipped, if you can’t place an ID tag in the collar, this can save the life of your dog. 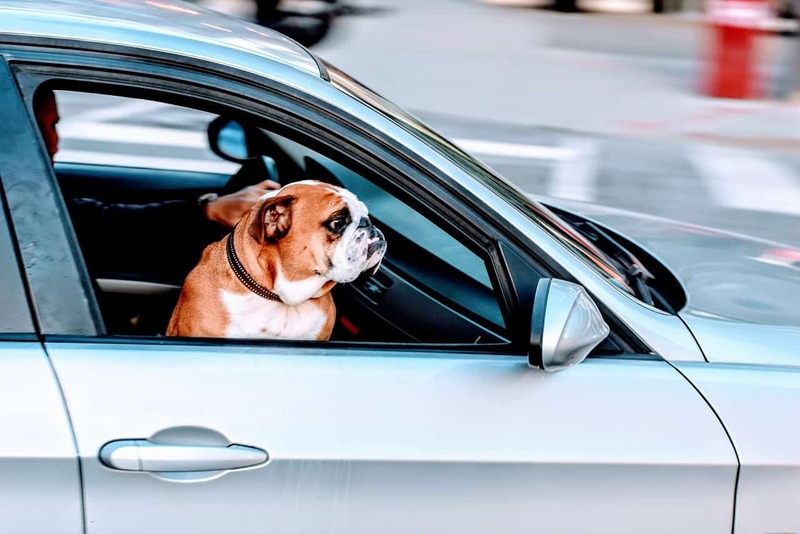 The dog shelters will first scan the dog for microchips and contact the owners; therefore, you can prevent your pet from getting euthanized at the shelter. If possible create a dog emergency kit in advance with all the mentioned above, do not wait up to the last minute. Make your research about the shelters in the area, and make sure they are taking pets and what are the requirements, also check animal shelters and animal clinics in case you can’t take your dog with you. Keep the crate and leash close to you, you can be forced to evacuate without prior notice and if you need to go you can take it with you. Also if you have multiple dogs having them in one room will be smart in case you need to act fast. DO NOT tie or chain your dog, they need to be free to move and escape from a potential threat if necessary. DO NOT give them any tranquilizer, in order to use his instincts your dog needs to be alert. DO NOT leave your dog in a crate or closed room, basically you are reducing his escaping options if his life is in danger. DO NOT leave lamps or fans connected (leave ceiling lights on), if water gets into the house and the lamp connected falls down your dog could be electrocuted, also disconnected all electronics and appliances and shut off the main line of gas if you have one. Place Food and Water enough to survive the time you are out; a smart tip is to place the bowl of food on top of a plate with water to keep ants away. Place newspaper or pee pads all over the place same as litter in that way your dog will have the chance to have designated areas for that.If you are like me, dogs are part of the family and we should take considerations about their safety, be prepared, be ready and plan in advance… following the above guidance will minimize the risk of a tragedy. Keep safe fellas and remember everything can be recovered except a life, a human life and of course the life of your dog.